Order in multiples of 400 to avoid paying box splitting cost of £5. 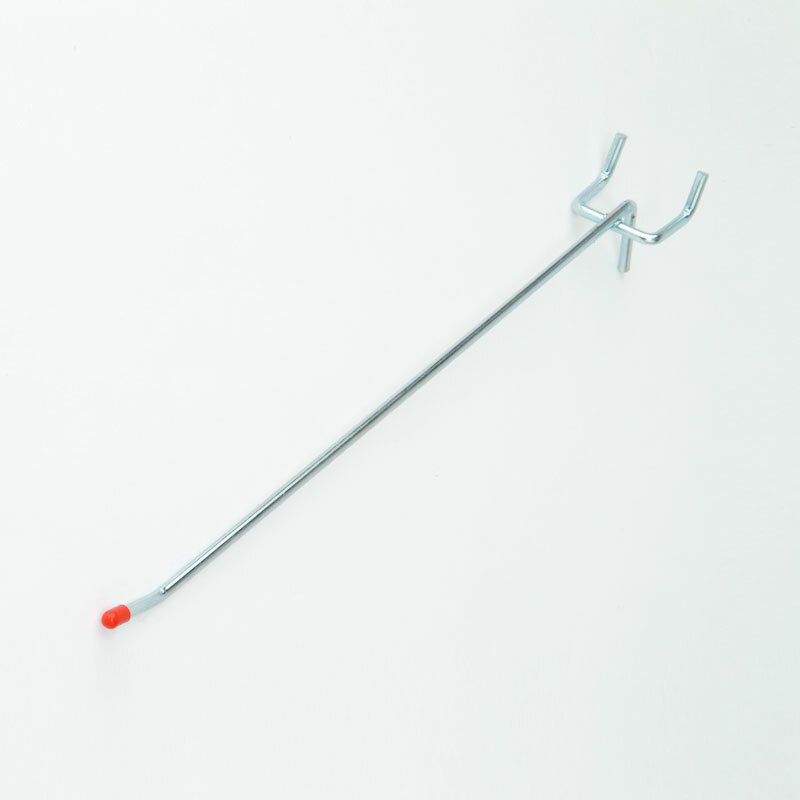 203mm Light duty single prong metal pegboard hook manufactured from hard wearing 3.25mm diameter mild steel wire. Perfect for displaying a variety of retail products. Especially made for use on pegboard wall panels. Designed to be position in seconds and allows you to save valuable space on the shop floor. HIGH QUALITY - Made with thick mild steel and 3.25 diameter prong. Light duty hook to suit 25mm board. 3.25mm diameter mild steel wire.